If you are a good listener, you can be a good speaker. True as this statement is, English learning is not anymore restricted to boring textbooks and exercises. You can improve your vocabulary and speaking skills through a lot of fun ways, one of which of course is through radio. In today’s age, when most of us lack the time and willingness to sit and study from textbooks, learning English through radio will come handy. We all have smart phones and they can be put to better use by tuning into online radio stations. Not only will this help improve your English listening skills, but also it will boost your confidence to speak English like native speakers. However, you need to listen to these stations on a regular basis. How to learn English through radio? Let us look at some easy tips that will help you get started. In this internet age, you have the luxury to tune into worldwide radio stations. Simply go to search engine and type radio along with the region and the type of show you want to listen. For instance, ‘radio California sports’. You can choose any topic of your interests, such as cooking, entertainment, news, sports, etc. The problem with most English learners is lack of dedication. One day we might be excited to start learning English via radio, and a few days down the line, we might consider it a regular chore. 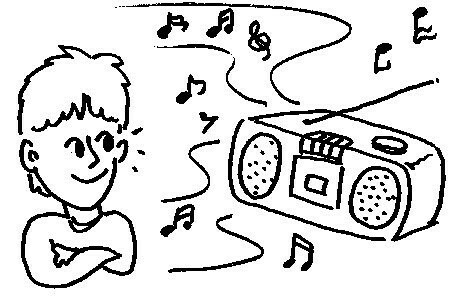 Therefore, to ensure you stay motivated, tune into different radio stations. Search online English speaking radio stations and tune into a channel of your interest. To start with, pick up a topic of your interest, for instance, entertainment. We all love to hear celeb gossip, so why not check out an entertainment talk show. For one, it will keep you hooked to the program and two it would improve your listening skills as there are no visuals to distract you. You would agree that a textbook learning cannot give you such a hang on practical English speaking as a radio can. Once you learn how naturally native English speakers talk, it will be much easier for you to practice the language. You can join an online spoken English class and get to know more about learning English through fun ways. 1. 5 Weird English Words You Won’t Believe Exist! 2. How to Write a Formal Letter Regarding Leave? 3. How to start a conversation? 5. Misspelled words that can affect/effect your communication?